Martha Polk is an intern in the Walker’s Film/Video department. Recently graduated from Carleton College with a degree in Modern Middle East History and Cinema and Media Studies, she plans to write and talk about movies for the rest of her life. 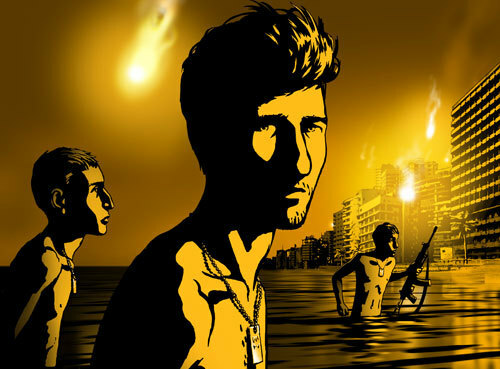 And so, Waltz with Bashir manages a difficult harmony of elements. The animated image pulls us into personal dream worlds that, side by side with interviews and bits of historical exposition, compose Waltz with Bashir‘s truth, a truth which lies both in the hidden intimacies of one man’s memory and in the assertion that universally, war is hell.